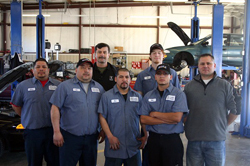 Pete’s Auto Care Center offers drivers of foreign and domestic cars throughout Bryan and College Station, TX with quality, affordable auto repair and maintenance services. From oil changes, tune-ups, and state inspections to AC repair, brake service, and major auto repairs, you can count on our talented, certified technicians to treat your car like our own and make sure the job is done right the first time. Without proper regular maintenance on your car, you could be risking huge repair bills in the future. For a small fee, you can have certified mechanics maintain your car, making sure it runs properly and identifying any potential issues before they become major problems. Pete’s Auto Care Center can provide you with oil changes, system flushes, tune-ups, and more to keep your car running the way it was designed to. Don’t risk your money on major repair bills; call us or stop in for all your auto maintenance needs. 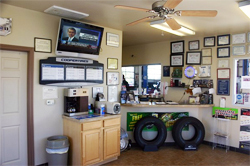 Pete’s Auto Care Center can handle all of your auto repair needs. 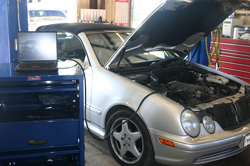 We are fully staffed with certified mechanics that can perform proper diagnostics on your car to ensure that we figure out exactly what needs to be done. We approach every car with a strict attention to detail to get you back on the road safely-without any of the hidden fees or surprise charges for which other shops are notorious. Give us a call to request an estimate for all your automotive needs.